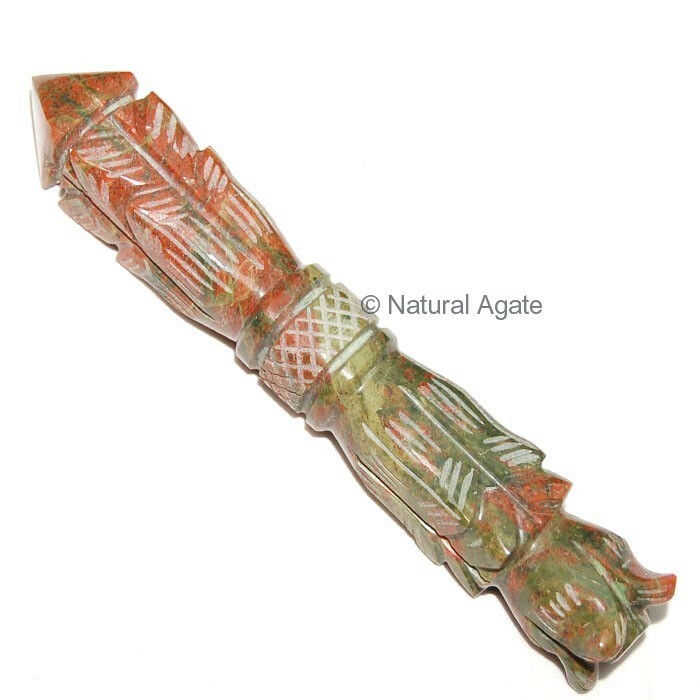 Unakite Carved Wand is spectacular and awe-inspiring. This makes as superb decorative article and an amazing gift. Get this wand from Natural Agate at an affordable price. It is 3-7in long.